Keep the Grill Tools protected from the elements in the portable storage case, or take them with you when you are on the go travelling, at a cookout camping or hiking.The 15pcs Bbq Tools Set with 8pcs corn holder, 2pcs BBQ Skewers,Basting Oil Brush ,Chef Knife ,BBQ fork ,slotted spatula,Bbq Tongs.This is the perfect Father's Day gift, or birthday present for your boyfriend, dad or husband. This BBQ kit has everything you need for a perfect summer-time barbecue. 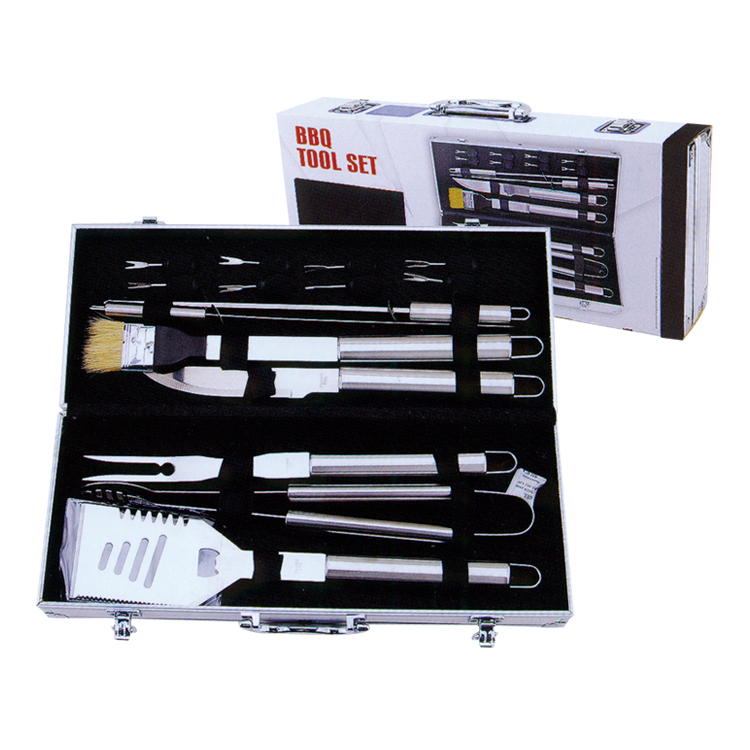 Looking for ideal 15pcs Bbq Tool Set with Skewers Manufacturer & supplier ? We have a wide selection at great prices to help you get creative. All the BBQ Tools Set in Case are quality guaranteed. We are China Origin Factory of 15pcs Bbq Tool Set. If you have any question, please feel free to contact us.